Obama’s war on “countering violent extremism” turns inward – on Americans. CNN reported Thursday that “a new intelligence assessment, circulated by the Department of Homeland Security this month and reviewed by CNN, focuses on the domestic terror threat from right-wing sovereign citizen extremists and comes as the Obama administration holds a White House conference to focus efforts to fight violent extremism.” The DHS report unveils the Obama doctrine – ignoring the jihad and targeting the right – in a deliberate demonization of an increasing number of Americans who understand that our rights are being usurped and that the U.S. government has been hijacked by a collective of destroyers and anti-American operatives. This is not new. Obama made these same vicious accusations in a similar DHS report in early 2009. It is a strategy. President Obama is taking the idea of pre-emption to a whole other level. The Bush doctrine included a strategy of “preemptive strikes” as a defense against an immediate threat to the security of the United States. Obama is using it as an offense against the American people. “The tyrant will always find a pretext for his tyranny” – so said Aesop in the “The Wolf and the Lamb” on of Aesop’s Fables.And so he has. Ayn Rand stated it clearly: A statist is a man who believes that some men have the right to force, coerce, enslave, rob, and murder others. To be put into practice, this belief has to be implemented by the political doctrine that the government – the state – has the right to initiate the use of physical force against its citizens. How often force is to be used, against whom, to what extent, for what purpose and for whose benefit, are irrelevant questions. The basic principle and the ultimate results of all statist doctrines are the same: dictatorship and destruction. The rest is only a matter of time. We are approaching that level of control. 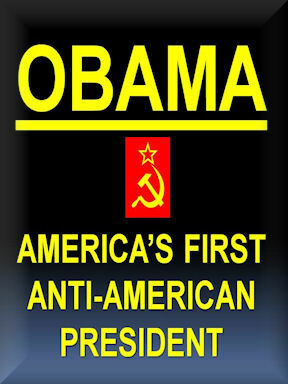 Obama and his appointed thugs have made the good guys the enemy. Clearly, they anticipate that Americans will act against his coup at some point, and they are taking pre-emptive action. Criminalizing patriotism. The world is in chaos. The jihad wars are roiling Africa, Middle East and now Europe. And the Obama administration has turned against … Americans. The Obama administration is anticipating some kind of civil war or civil action, and so they are drawing the line – declaring those who stand in defense of the Constitution enemies of the state. Obama refuses to call Islamic terror Islamic, but will designate Americanism a terror threat. CNN report quotes liberally from the left-wing extremist group, the Southern Poverty Law Center, or SPLC, whose own members-turned-assassins have been involved in a number of shootings. The SPLC has never designated an Islamic group a terrorist or even a hate group, but patriots like Ben Carson and I have been so branded. The absurdity of the report is made ever more ridiculous by all of the other headlines on the CNN page where it appeared – “related” news stories of Islamic terror and the human toll of the jihad, including: ISIS burned up to 40 people alive in Iraq, official says. Where have the “sovereign citizens” ever burned anyone alive? The DHS is a useless agency; worse, it has become Obama’s political stormtroopers, targeting Obama’s enemies list. Where are the Republicans on this? They should be making this the centerpiece of their opposition to Obama and defense of freedom. Instead – silence. This is yet another reason why America is in such trouble.